Malaysian prosecutors Monday unexpectedly dropped a murder charge against an Indonesian woman who had been accused of assassinating the half-brother of North Korea's leader. Siti Aisyah walked free from a court outside Kuala Lumpur after prosecutors withdrew the charge without giving any reason. 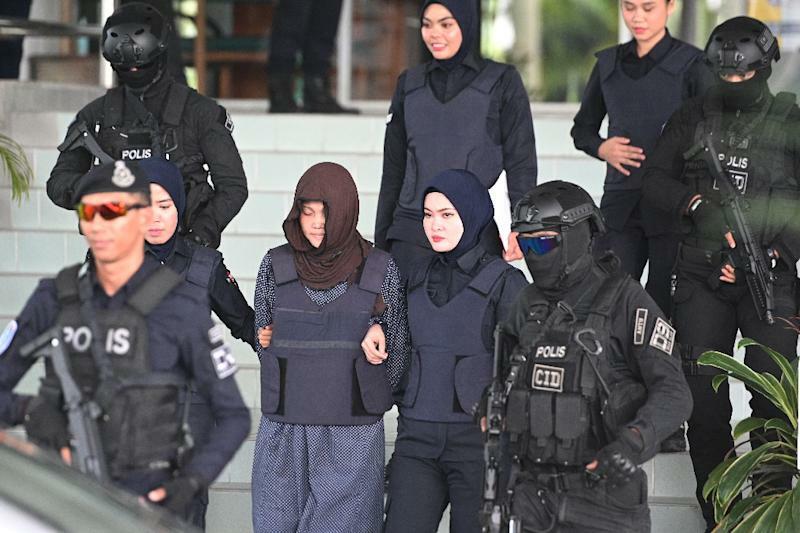 She was accused alongside Doan Thi Huong from Vietnam, who remains on trial, of the brazen murder of Kim Jong Nam at a Malaysian airport in February 2017. Malaysia cancels a visa-free travel deal with North Korea and expels North Korea's ambassador. Pyongyang hits back, kicking out Malaysia's envoy. At the end of the month, Malaysia's then-prime minister Najib Razak announces an agreement has been reached to return the Kim Jong Nam's body to North Korea. Nine Malaysians stuck in Pyongyang will be free to leave and North Koreans in Kuala Lumpur will be allowed to go home. Four men formally accused on a charge sheet of plotting with the women to murder Kim Jong Nam are identified by a police officer as North Koreans who fled Malaysia immediately after the assassination. The women's lawyers insist the North Koreans are the real masterminds.